So this isn’t really a board game review. There are no rules, or gameplay, or mechanics. These are dice. We just want them to do what dice do, which is roll, randomly, and land on one side. And these dice do just that! But the best part is the customization. The samples we were given all looked great. The engraving looked and felt great, and seems like something that will last a long time. On the just-launched Kickstarter page, they’ve got tons of predesigned dice, including chess dice, dice with weapons, dragon dice, ninja dice, Roman numerals, and even weather dice! 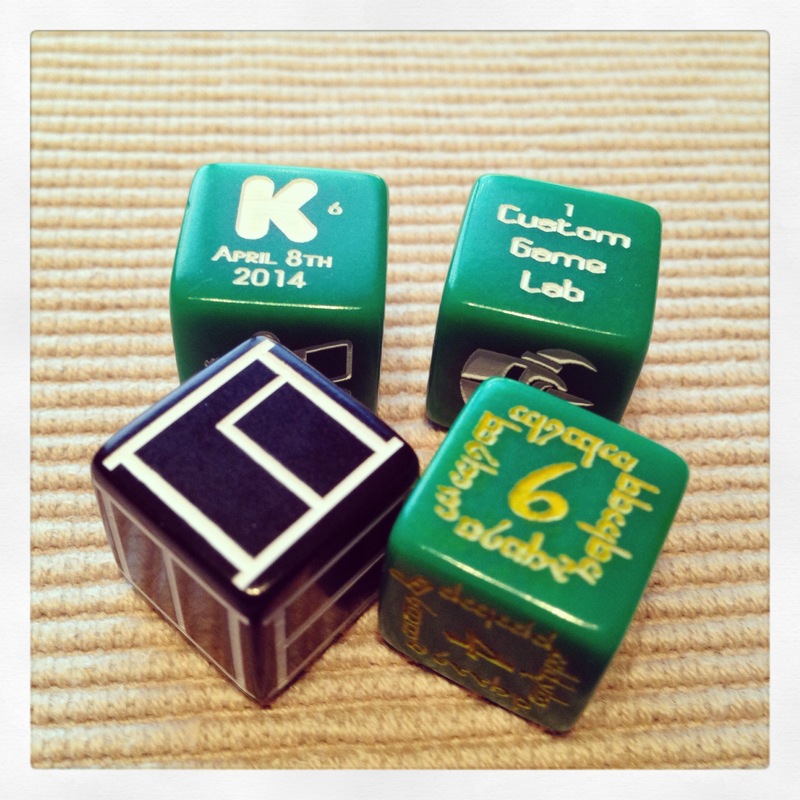 But once they’re up and running Custom Dice Labs will have the ability for you to upload your own designs. You can choose the dice color and the color the engravings are filled in with, and BAM! Dice! You’re even given the option to allow your design to be used by other people, and you’ll get a reward of some kind when people use your designs. (They’re still figuring out the details of that.) There could be thousands of designs up in a very short time. That’s cool! So head on over to the Kickstarter page and get started. But WAIT! John Warren, head honcho over at Custom Game Labs, has generously donated a set of a dozen custom dice to one lucky reader! (Provided the campaign is successful…) They could all be the same design, or 12 different ones. They can be a design they’ve already created, or your own custom design. That’s what’s so cool about this project! All you have to do to be entered is Follow us and Custom Game Lab on Twitter, and tweet out: “I want some custom dice from @theologyofgames and @customgamelab! #customdicekickstarter” The contest will end on the evening of May 11–provided the campaign funds. Thanks for reading! And don’t forget to enter the contest. It’s easy! I checked out this project and it looks interesting. 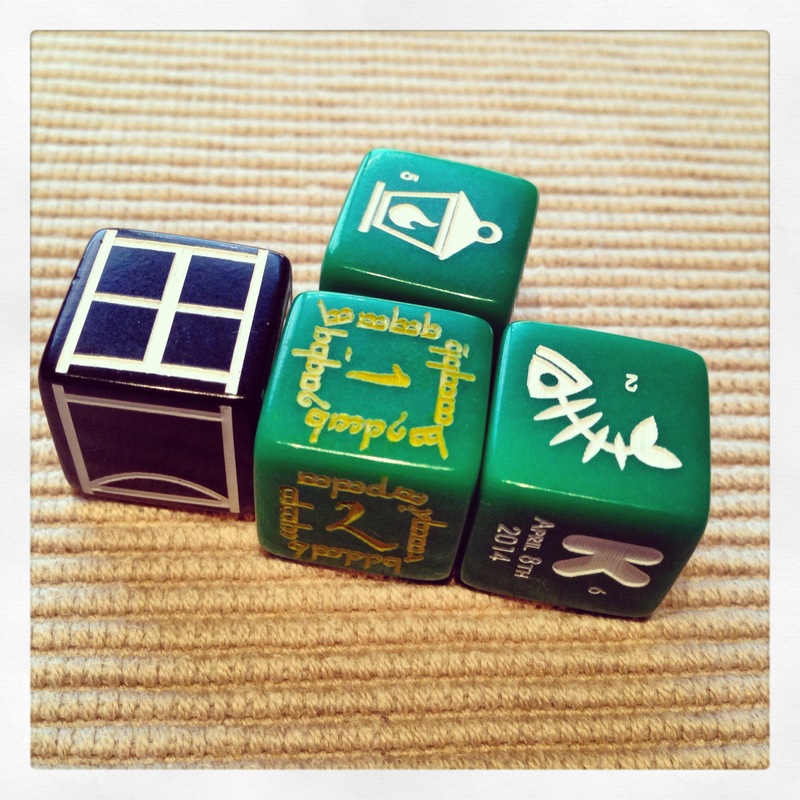 I am already thinking of some custom dice I could get made fro some prototypes I’m working on. Thanks for the post.